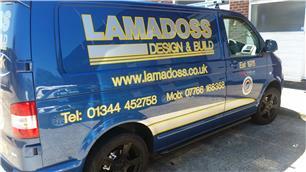 Lamadoss Design and Build - Builder, Roofer based in Bracknell, Berkshire. Conservatories - Wood and Upvc. A full service is provided & all our tradesmen are fully qualified and have been working together for years to create a perfect, trustworthy and friendly workforce for all our customers to enjoy.